Do you dream of creating your own world populated by your own original characters? 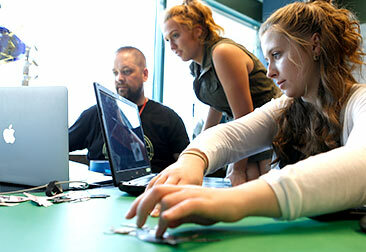 Do you wish to learn skills that you can apply to everything from filmmaking to game design? The 3D Animation Summer Camps at the New York Film Academy provides campers with an intensive, hands-on environment in which they learn the essentials of 3D animation, and gain a basic understanding of visual effects (VFX), preparing them to pursue their dreams in animation and VFX. 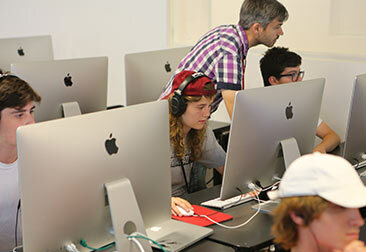 Students in both the 3- and 4-Week 3D Animation Summer Camps work with state-of-the-art, industry standard 3D Maya software to build their models and apply basic animation techniques. Campers learn how to create original characters and environments, working through each step of a professional animation pipeline. Campers are also immersed in the fundamental skills of animation, including: drawing, painting, storyboarding, and sculpting. NYFA’s faculty of professional animators and visual effects artists work with campers to help them to bring their most creative and original ideas to life, while also teaching campers a range of creative skills that can inspire them long after they leave. Curious to learn more? Click here to apply online and request more information.